On a recent sunny Saturday, I took my younger son to the park. He and his friend quickly joined a game of tag on the pirate-ship climber, as I sat on a bench in the shade, ignored my book and chatted with a friend. Nothing could be more natural, right? And yet. Why was there a fence around the playground? Why was the climber themed as a pirate ship, and why did it get rebuilt a few years ago to become fall-proof and boring? Why was I there, anyway, rather than working in the garden or relaxing with my wife at home? The answers are contained in design critic Alexandra Lange’s witty and insightful new book, a wide-ranging history full of big and small insights. 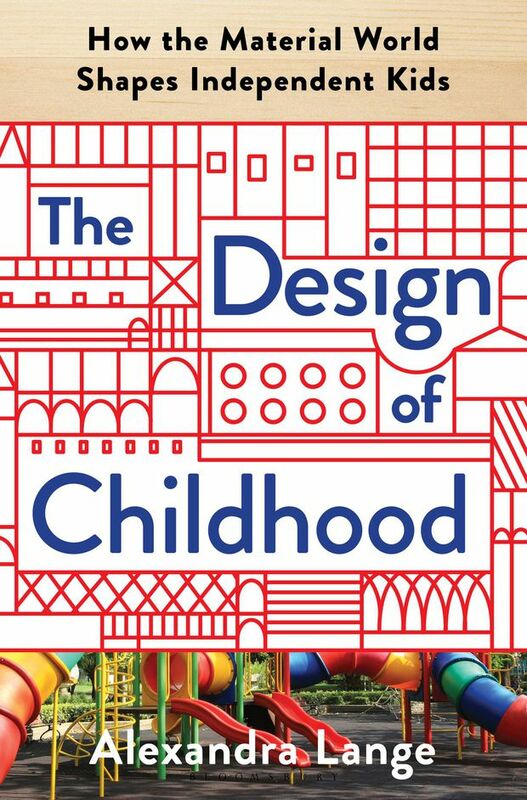 Lange, the architecture critic for Curbed and a widely published design writer, unpacks the complex social, intellectual and aesthetic currents that have shaped the physical world of kids. Ms. Lange reads those things and places, moving upward in scale from toys to the city. It’s a journey from wooden Froebel blocks to LEGO to monkey bars to family-sized condo units. First, the toys. The story begins with Friedrich Froebel, a German polymath who established a kindergarten in 1837 – “changing the form of school, from rows of desks and an emphasis on reading, writing and arithmetic to an open room and outdoor garden with child-size furniture, blocks and songs,” as Ms. Lange writes. The blocks were critical: a set of simple playthings, or “gifts.” Made from simple geometric forms, cubes, a sphere, a cylinder, these were used by the children to mimic the world, to make abstract patterns and to do arithmetic. This would happen in a way that was relatively free-form and, to use today’s language, child-led. The idea that learning happens through play, and that simple objects can be windows onto the world – these are principles that come to shape both education and adults’ ideas of what childhood is. The school becomes a rich subject for Ms. Lange’s analysis too – and though her view is American-centric, ideas of education and school design generally travel cross the border. The one-room schoolhouse of Little House on the Prairie gets remade for an urbanizing society, stacked up into three- and four-storey piles of classrooms that are built for rows of desks. Windows up high to provide light without distracting views, materials that wouldn’t create echoes, and a general high-mindedness to the architecture. These schools of the 1890s onward were machines for learning – proof of philosophies of top-down, directive learning. There’s evidence of that thinking a few steps from that park where I was sitting, at an elementary school built around 1912: high-ceilinged, big-windowed, raised haughtily a few steps above the ground. (It’s in bad shape, thanks to a crazy 20-year consensus in Ontario that taking care of school buildings is unnecessary.) And the school wing next to it, from the late 1950s, captures the next Modernist wave in design. Ms. Lange takes us to its template, the Crow Island School, completed in Winnetka, Ill. in 1940. Designed by young architects Perkins, Wheeler & Will with the Modern legend Eliel Saarinen, it was not childish but child-friendly: low and bright, with doors painted in primary colours so little ones can find their way, modern furniture sized for little bodies, and shelves that small arms can reach. The materials were hardy brick to stand up to abuse and pine cabinets to catch stapled-up artwork. Not least, classrooms were connected to the outdoors: the “whole child” movement in education saw being outside as crucial to children’s learning. 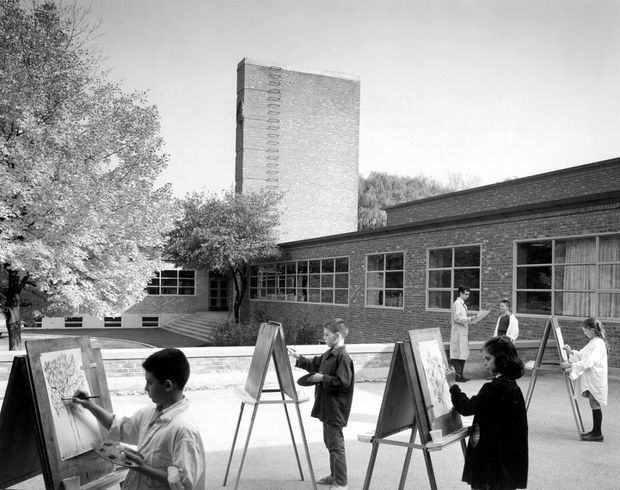 Crow Island School, completed in Winnetka, Ill., in 1940 was the template for the Modernist wave of school design that implemented child-friendly design elements. On the other hand, being outside became more difficult with North Americans’ move to the suburbs. The private lawn displaced the park or street as the ideal play space, but public playgrounds were stocked with see-saws and jungle gyms. The 1950s and 1960s were a period of radical innovation, in which the “junk playground” of postwar Europe was adopted into “adventure playgrounds.” Here, kids got to quench their thirst for exercise and risk. And then, in the U.S., the lawyers got involved: Ms. Lange pegs the moment as 1978, when a Chicago toddler was badly injured on a playground and his family won $9.5-million in damages. 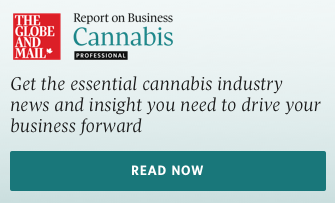 Regulation and standardization of playgrounds grew, inevitably, from there. In other respects, too, the past 40 years of childhood have seen children progressively lose their freedoms. Ms. Lange – who grew up in the still-radical 70s – has got a problem with that. Parents who both work; the social fragmentation that came with the car and car-oriented planning; social bonds, parents’ (unwarranted) fear of predators and the (warranted) fear of cars − all these things work together to limit children’s development as independent thinkers and, eventually, citizens. So where’s the answer? And yet if a city can be made more friendly to children, whose children exactly will end up there? Ms. Lange points out how expensive downtown Vancouver has become. And when she speaks with Toronto city planners, she admires their designs for kid-ready downtown districts, but their ideal three-bedroom apartment is 1,140 square feet – which, if it existed, would cost well over $1-million in the central city. “It has typically been middle-class white families’ interest in living centrally that has spurred planners to action,” she writes. True. And it’s time for parents, following her lead, to think harder about both the design and politics of childhood. While many of us obsess over our kids’ development and education, there’s a common tendency to be selfish about it: What are my kids going through? What does their school need? Too many of us have spent a few years deeply interested in education and then left the topic entirely. But we “need to think beyond our own offspring,” Ms. Lange says. It’s clear that kids do better in a wider, safer, more playful world: Designing that world is the ultimate group project. Alex Bozikovic is The Globe and Mail’s Architecture Critic.